Kihapp is a tournament management service specially designed for martial artists. Kihapp gives a hand in every part of the process of a tournament, from online registration to making brackets, printing certificates and publishing results. Kihapp runs entirely on the web, meaning you can use it on anything that has a web browser: Windows, Mac, Linux, Android, iPhone, iPad, anything you like. It also means there is nothing to install. If your form of martial arts isn't on the list, get in touch and we'll sort it out! In 2009, I was put in charge of a local tournament by my taekwondo school. As I was unable to find software that would help me take in registrations, make brackets, and publish results, I decided to write the first version of what would eventually become Kihapp. My name is Ville Sundberg. I'm a Finnish martial artist and software developer with more than a decade of experience in creating reliable, easy-to-use software. 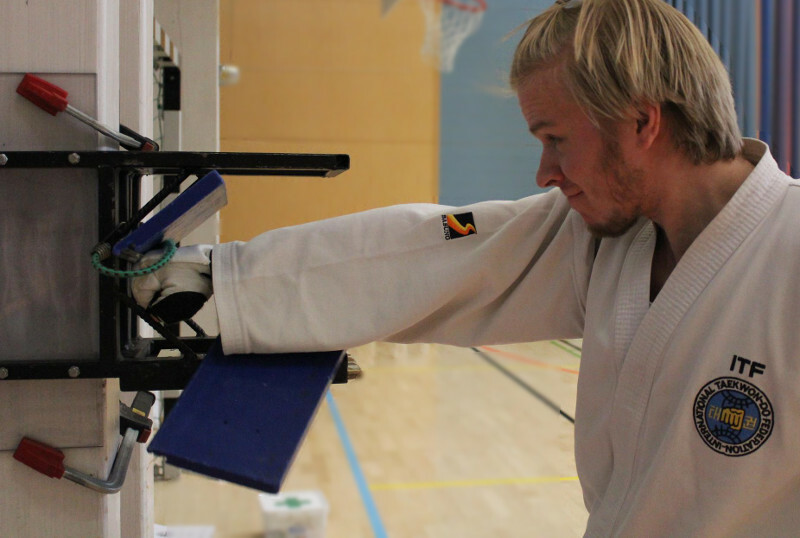 I hold a 4th degree black belt in ITF Taekwon-Do, and I live in Stockholm, Sweden. You can reach me at ville@kihapp.com. Today, Kihapp has been in active use and development for more than 9 years, is in use in 52 countries, and has handled more than 55 thousand registrations.